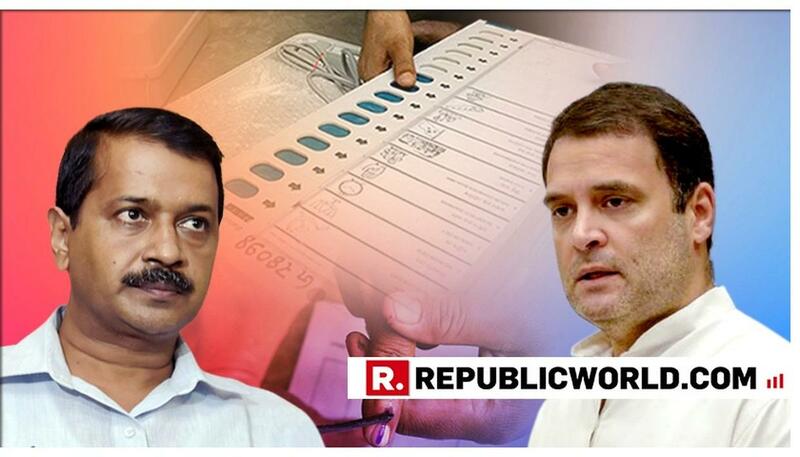 Home Election News NCT of Delhi Lok Sabha Elections Rahul Gandhi pleads publicly with AAP for Delhi alliance, says "But, Mr Kejriwal has done yet another U turn!" Rahul Gandhi Pleads Publicly With AAP For Delhi Alliance, Says "But, Mr Kejriwal Has Done Yet Another U Turn!" Congress President Rahul Gandhi on Monday pleaded Arvind Kejriwal for a Cong-AAP alliance in the National capital. Taking to Twitter, he said if Congress joins hand with AAP in Delhi it would mean the rout of the BJP. He also added that even though Congress' doors are still open, AAP chief has made yet another U-turn. Earlier, the Congress will not form an alliance with the Aam Aadmi Party in the national capital for the upcoming Lok Sabha elections, Delhi Congress chief Sheila Dikshit told reporters on Tuesday. "A unanimous decision has been taken that there will be no alliance in Delhi," Dikshit had said. The announcement by the former Delhi chief minister came following a meeting with Congress president Rahul Gandhi. "In Punjab, we've 4 MPs and 20 MLAs and Congress doesn’t want to share seats there. The same situation is in Haryana, Goa and Chandigarh. In Delhi, where they don’t have any MLA or MP, they're demanding three seats. So, this alliance is not possible. The Congress is not in favour of alliance and it seems they want to benefit the BJP. AAP will contest and win all seven seats in Delhi," he had said.